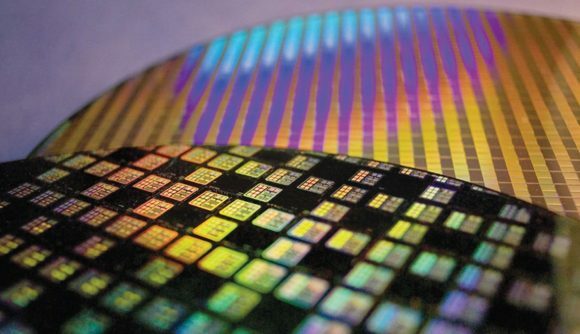 The foundry responsible for AMD’s manufacturing in 2019, TSMC, is expected to be running its 7nm process node at max capacity by Q3, 2019. The cutting edge node has reportedly been under-utilised so far this year, although industry sources believe 7nm chip orders are now rolling in thick and fast for production – including plenty from AMD and vast amounts from Apple. TSMC’s most noteworthy 7nm client for us gamers is AMD. Its next-generation AMD Ryzen 3000 CPUs will utilise Zen 2 chiplets produced by the pure-play foundry for power efficiency and performance gains. As will its EPYC server chips. The next-gen Radeon architecture, AMD Navi, is also on the roster for TSMC’s process, potentially launching alongside Ryzen or closely behind in the months that follow. Rumour has it these will both launch in July following a Computex announcement. And at least the latter is looking more than likely, for AMD Ryzen at least, now that AMD CEO Dr. Lisa Su will be making the first ever Computex keynote on May 27, 2019. This follows a Ryzen teaser at CES 2019 earlier in the year. But there’s yet to be any mention of AMD Navi from any of the official channels, and we haven’t been entirely convinced AMD will manage to launch AMD Navi concurrently with its latest CPUs. It would be a bold move, that’s for sure, and one that would get the hype train moving full steam ahead, but it could also put considerable pressure on TSMC to manufacture a hefty volume of both in the preceding months. But TSMC was reportedly running below capacity on 7nm heading into 2019. And the latest from industry sources speaking with DigiTimes is that AMD has been ramping up its wafer starts aggressively during this time, making good use of TSMC’s flexibility. That potential flexibility might dissipate by the end of July, however. The sources claim that the foundry giant has enough orders to max out its fabs by Q3, 2019. Most of this demand will come from Apple, the sources say. Smartphone demand is rather enormous, and it’s suspected to swallow up the majority of TSMC’s 7nm space. 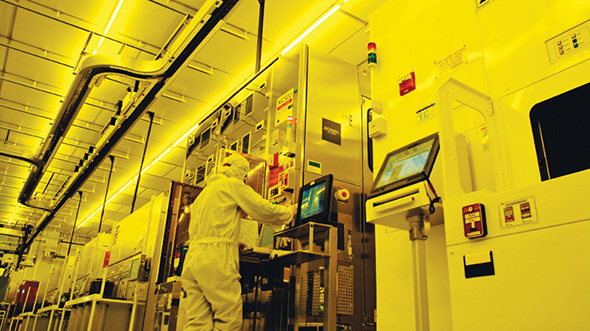 TSMC’s 7nm process is said to have hit its lowest utilisation in Q1, 2019, with new android devices claiming some more of its fab space heading into Q2. Nevertheless, the process is already responsible for more of TSMC’s revenue than any other node. But some clients will be hoping to jump straight to TSMC’s 7nm EUV process in the second half of 2019, when it is suspected to enter volume production. Extreme ultraviolet technology will be used to minimise complexity in the manufacturing process, and should reduce the time and cost associated with building chips at such dense process nodes. Nvidia is said to have signed on to utilise Samsung’s 7nm EUV process in 2020, shifting away from its current 12nm partner, TSMC.